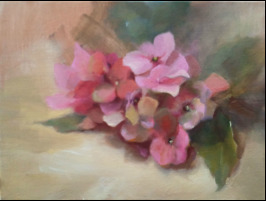 Ann Goble began her painting career in 1999 and has studied under some of the finest painters today, including Martin Grelle, Roseta Santiago, David Leffel, Gregg Kreutz, Nancy Franke and Jill Soukup. Her subjects include still life, equestrian, and figure. She works in oils and is influenced by the fluid, painterly style of masters such as Sargent, Maurer, and Serov. She has participated in many juried shows and has received numerous awards for her work. Her paintings are part of many private collections. Ann is a Signature Member of The Women Artists of the West and an Associate Member of the Oil Painters of America and Women Painters of the Southeast. 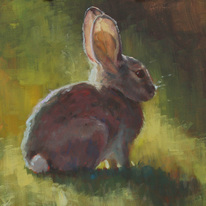 She is a member of The Quinlan Visual Arts Center and The Georgia Art League. She paints full time and lives in Georgia. Painting is for me a search for beauty. I am especially intrigued by the anatomical power and vitality of horses. 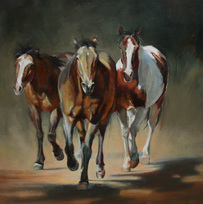 Their sheer intensity can be seen through the rendering of light as it reflects from a sweat drenched coat or the amber gaze of a horse at day break.Conveying the vibrations of nature is my goal, and it is my hope that the viewer's alliance with the painting brings to art its truest beauty.